What Happens If Your Computer Is Infected by Malware? : Consolidated Technologies, Inc.
What Happens If Your Computer Is Infected by Malware? Malware — or “malicious software” — is any program designed to harm your device and data. Several types of malware — including trojans, viruses, ransomware, spyware and worms — can be installed on your company’s computers. 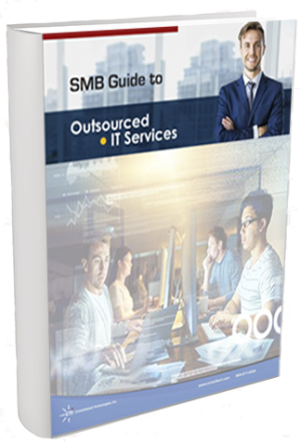 Millions of people will fall victim to some malware threat in any given year, and you and your employees are no exception. But few know what exactly malware is or what happens next. Can malware get passwords? Delete programs and files? How does it really affect your business? Malware works in various ways, and different types have different capabilities. We’re here to guide you through how malware affects your computer, the symptoms of malware and how you can keep your business safe from a malware infection. In short, malware can wreak havoc on a computer and its network. Hackers use it to steal passwords, delete files and render computers inoperable. A malware infection can cause many problems that affect daily operation and the long-term security of your company. Here are some of the many things malware can do. More than 1,000 data breaches occurred in the past year alone. These breaches affected a range of diverse industries, from government operations to small and large businesses, and many got their start with malware. Information theft is one of the most serious and costly results of malware. Once pieces of malware such as spyware and trojans are installed on your device, hackers can gather your personal and company information to sell to third-party sources. This information can include browsing history, passwords, client profiles and other sensitive data. Once a piece of malware is in action, it begins to consume a large chunk of your computer’s memory. Many types of malware also replicate themselves and fill your hard drive, so there’s little room left for legitimate programs. This loss of space can lead to a sluggish computer, which makes it difficult to carry on with business as usual. Certain types of malware can damage or delete files and programs on your computer. Unless your data is backed up on another hard drive or cloud server, you won’t be able to regain access to many of these files after a cyber attack. 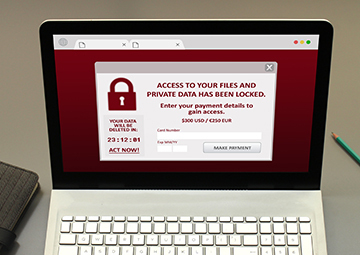 One type of malware known as ransomware holds the files on your computer hostage. Ransomware hackers threaten to delete all of your data unless you give them money. Worms are an especially disruptive type of malware for businesses. Once this malware infects a computer, it replicates itself and spreads throughout the entire network. Most companies operate all their devices on a single network — which means that a worm could damage not just one employee’s computer, but the entire organization. 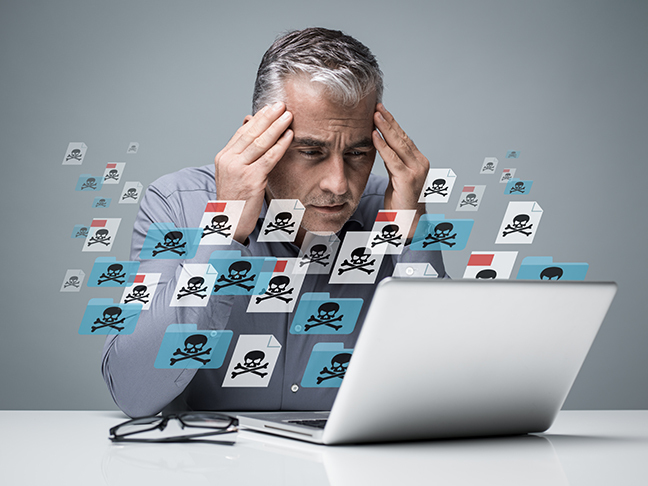 Nearly every type of malware will affect normal business operations in some form or another. 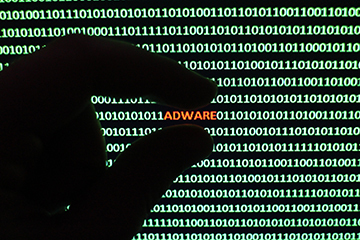 Adware is specifically a nuisance for business productivity. When installed onto a computer, it enables constant popups and can even redirect your search results to advertisers’ sites — making it hard for anyone to enjoy the functionality of their device. Slow computer: One of the most common signs of malware is a slow computer. As mentioned above, pieces of malware can noticeably slow down your operating system, programs and bandwidth. Lack of storage: Malware can eat up storage space, leaving little room for legitimate programs and files. If a plague of unfamiliar programs is slowing down your computer, search the programs’ names online to make sure malware hasn’t infected your device. Crashing or freezing: Either technical problems or malware could cause regular computer crashes. Make sure that all your drivers are up to date and your programs are compatible with your hardware. If it’s not a hardware or software issue, malware might be causing your Blue Screen of Death. Pop-ups and unwanted programs: Constant pop-ups or unfamiliar toolbars are one of the most annoying signs of malware. Don’t click on any pages or toolbars that pop up out of the blue — close out of the program and run your anti-malware software immediately. Spam: If your coworkers mention that they’ve been receiving messages from you that you don’t remember sending, you’re likely a victim of malware. Caution them not to open any links or attachments within the messages. Install anti-malware software: Anti-virus software and other anti-malware programs are great at identifying and removing many types of malware. While they won’t always find everything that might be lurking on your computer, performing regular checks with these programs is an excellent start to improving your network. Perform regular employee security training: One of the biggest challenges to your cybersecurity is your own staff. 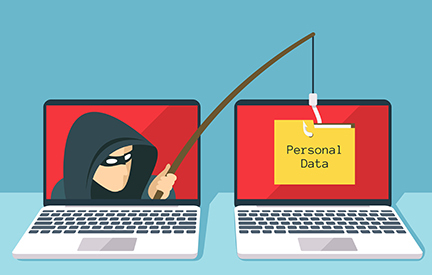 Around 70 percent of C-level executives and small business owners who reported data breaches said that these breaches were due in part to employee error. Increase your security by introducing regular network safety trainings into your workplace. Avoid clicking unknown links and pop-ups: While some pop-ups and files can look enticing or urgent, they usually carry malware that they then install onto your system. Open only expected files from trusted sources, and view the URL before clicking any links. Keep your system up to date: Nearly a million new malware threats are created every day, so it’s essential to keep your system as updated as possible. Regularly check your operating system and anti-virus software for new updates, and install them as soon as you can. Implement network security: Regular management of your IT systems is essential for guarding your data from hackers. This management can be performed in-house or through a partner service. Protect Your Network With Consolidated Technologies, Inc. When you want to leave your business’ network security in the hands of the experts, turn to Consolidated Technologies, Inc. We’ve helped more than 2,000 businesses solve their cybersecurity concerns and protect themselves from malware and other threats. Your network security is our top concern. Contact us to learn more about our security solutions and request your free consultation.